First and foremost, I wanted to brag and show you how I've been crushing Fanduel darn near every single week. Last week I won all the games I entered using two lineups, all generated with my optimal lineup tool. The nice thing about my optimal lineup tool is the computer picks only 50 or 60 players for me to tinker with. 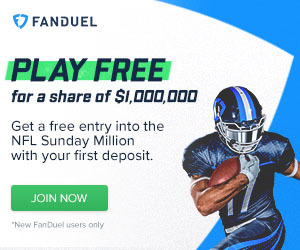 Those 50 or 60 players are optimized by the computer stuff these really geeky guys made (based on a bunch of different variables) to give me (us) the best chance to win on Fanduel. Click to enlarge. Here's the results from week 7 on fanduel. I won every single game with both of my optimal lineups, again for the third time this NFL season. I've only been shutout once this season, that is very good for my bankroll. The first (default) lineup you see when you use our tool is for cash games. But, I made this weeks optimal line up for tournament players not 50/50, triple or double up plays. While you could play this lineup in cash games and probably win, I don't like the punt play of Adams (even though he has upside) which could reduce your overall earning. Remember, we're looking for boom or bust players as "punt plays" in tournaments and Adam could easily have 50 + yards and a TD against the Saints this week for virtually free money. I made this weeks optimal line up for tournament players not 50/50, triple or double up plays.